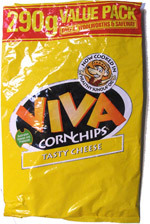 Taste test: These tortilla chips were far superior to Viva's Nacho Cheese effort, as they were light and crisp with an excellent cheese flavor. 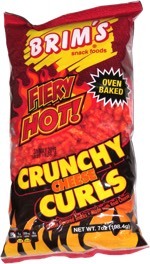 They would be good with dips and salsa and for snacking on their own. I am very impressed. They also come in an extra big bag, which isn't a bad thing! Smell test: Very cheesy smell.